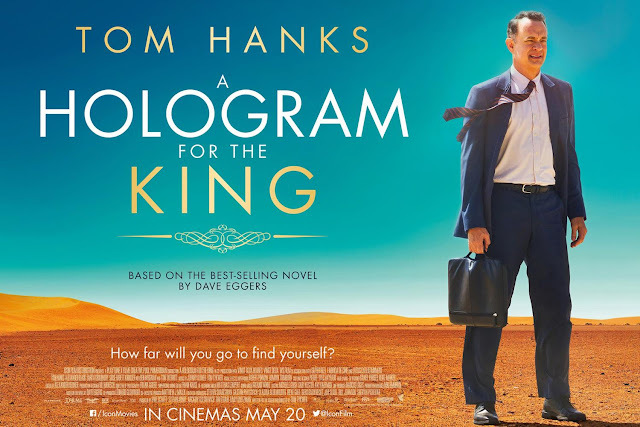 "A Hologram for the King is a 2016 American comedy-drama film directed and written by Tom Tykwer, based on the 2012 novel of the same name written by Dave Eggers, and produced by Stefan Arndt, Gary Goetzman, Arcadiy Golubovich, Tom Hanks, Uwe Schott and Tim O'Hair. Hanks stars as Alan Clay, a washed-up corporate businessman, who goes to Saudi Arabia to propose a business deal. Sidse Babett Knudsen, Tom Skerritt and Sarita Choudhury also star. The film was released on April 22, 2016, by Lionsgate, Roadside Attractions and Saban Films."